A mix of fair trade Cape Garden herbs in a ready to use grinder that can be added to bread, savoury scones and muffins just before baking, or to softened butter for a bread platter whilst it’s also great for adding African flavours to salad dressings, fish and potatoes. The grinder is adorned with tassels made by “Cape Mental Health Society” which provides work for the mentally handicapped around Cape Town. Sea Salt (50%), white pepper (10%), rosemary (10%), green peppers (10%), basil, organum, sage. 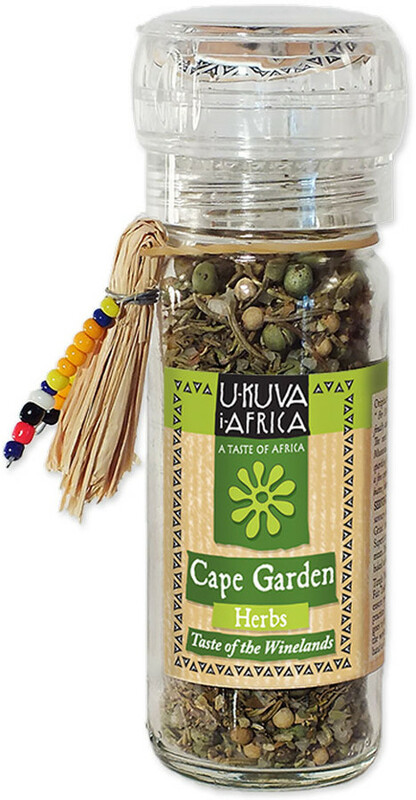 The U-KUVA iAFRICA Cape Garden Herbs Grinder - 40g product ethics are indicated below. To learn more about these product ethics and to see related products, follow the links below. 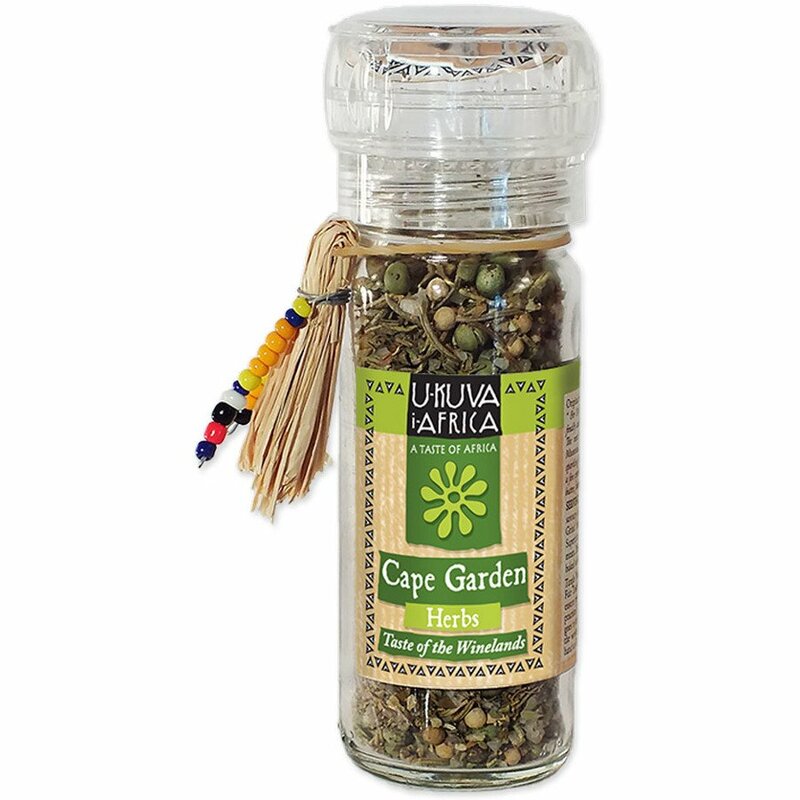 There are currently no questions to display about U-KUVA iAFRICA Cape Garden Herbs Grinder - 40g.